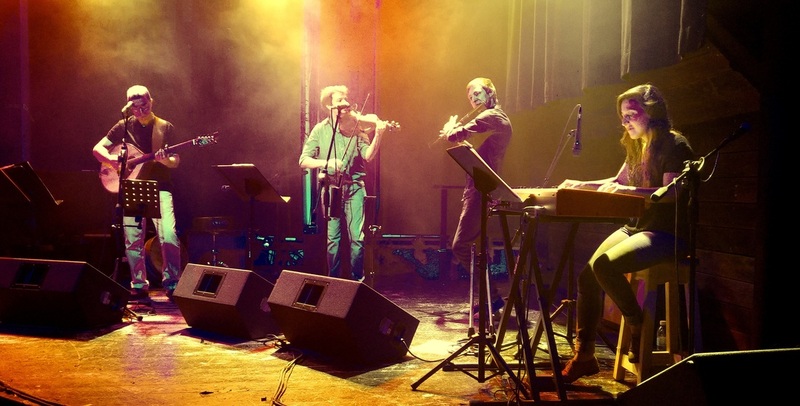 "A rich, complex and highly enjoyable sound"
​January 25 - Agamon Market, Hula valley. Concert at 1pm, admission free. August 25 - On Saturday September 9 we will perform at Nocturno in Jerusalem. June 17 - Our next concert: Saturday July 8, Syncopa Haifa. 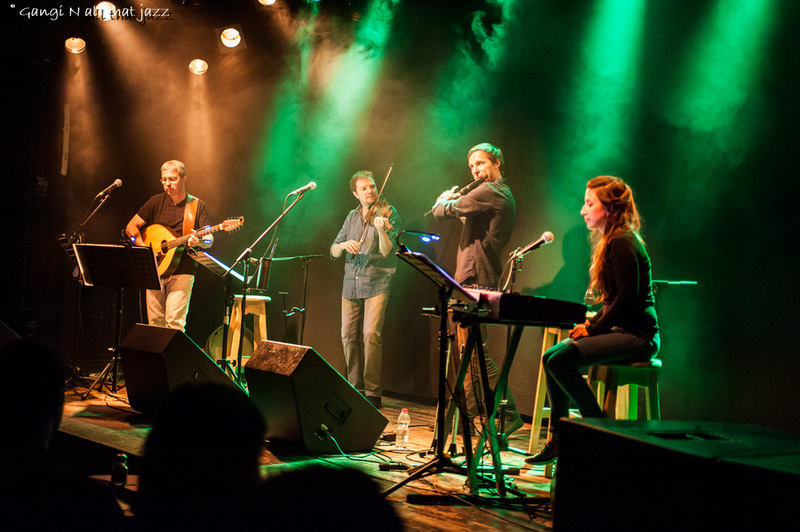 May 7 - Our next concert will be on Friday May 12 at the Mitzpe Ramon Jazz Club. Tickets will be available at the venue in the evening of the concert. 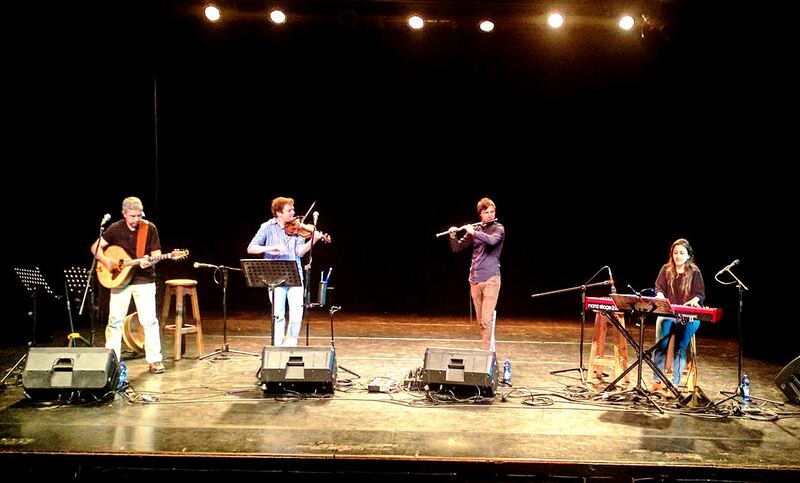 April 9 - Our next concert: April 22, Inbal Cultural Center Tel Aviv. March 9 - A visually enhanced version of the song "Women in chambers". ​Band Photos: Gangi. Beit Jann photo: Toeit. 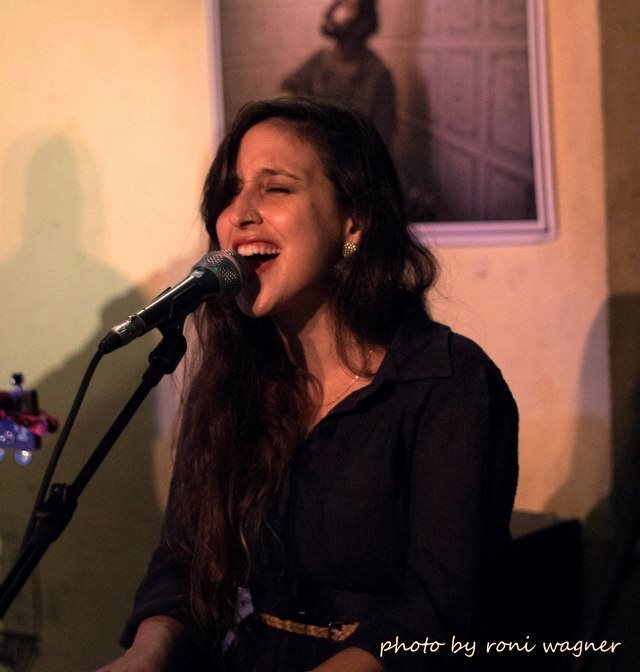 February 4th - The Israeli song "Women in chambers" was written by Shimrit Orr and composed & performed by singer Yehudit Ravitz for her 1990 album "Shem". We always thought it sounded like a good folk song and wanted to perform it in our style. We have recently recorded it, and we are glad to share it with you. 25 December - Our next concert, and the first one for 2017 - January 6 at Tmuna Theater, Tel Aviv. 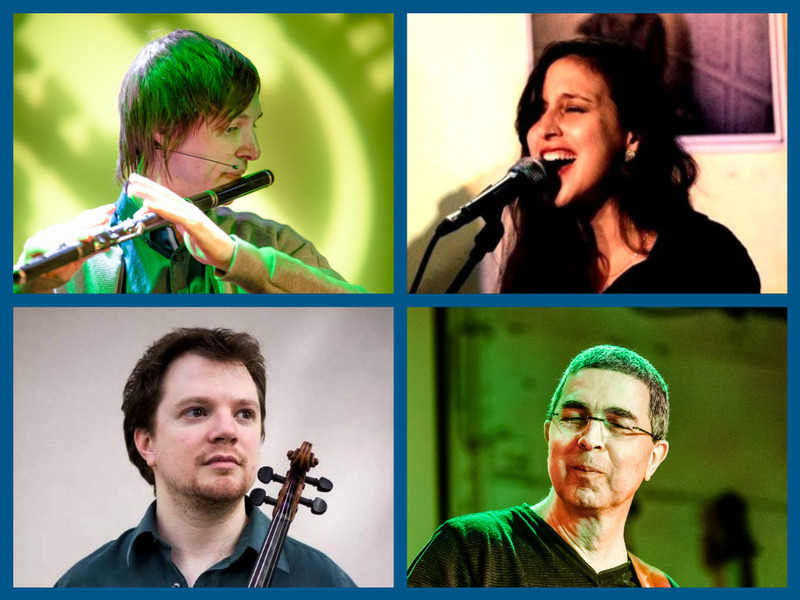 On January 13 we will perform at the Cube hall, Elma Hotel in Zichron Yaakov. Tickets HERE. 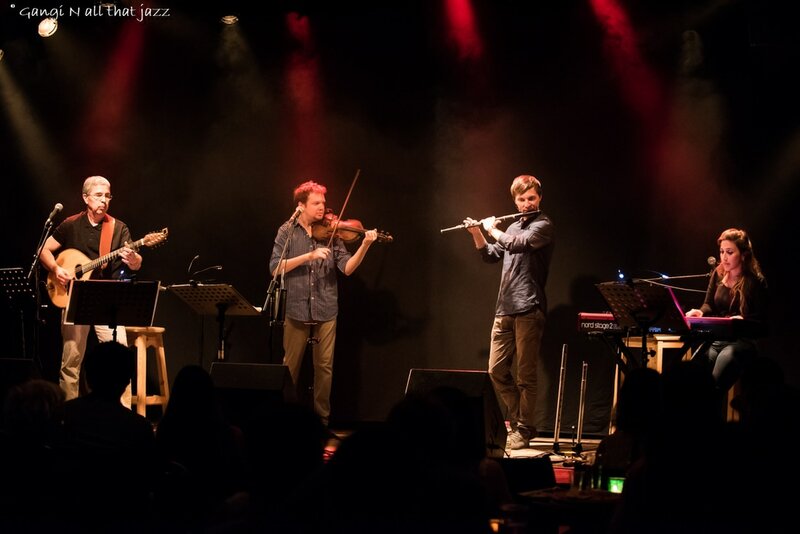 25 December - We are glad to present the first video from our August launch concert in Tel Aviv. It is the main theme song of the Irish animated film "Song of the sea", written by Bruno Coulais and Colm Ó Snodaigh with additional arrangement and music by Ehud Nathan. 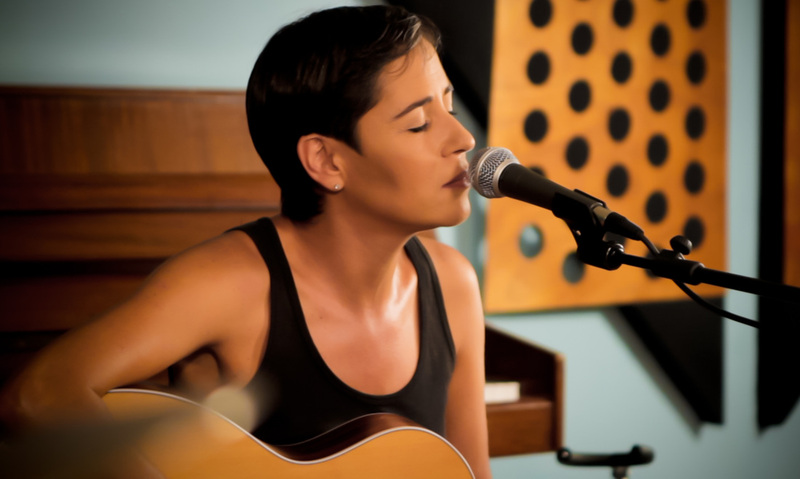 Live recording by Yoav Konsker, mix at Itay Abramovitz' Uniton Studio. Video - Beit Hayotzer. - We are now recording one of our new songs at ex-band member Itay Abramovitz' Uniton studio. 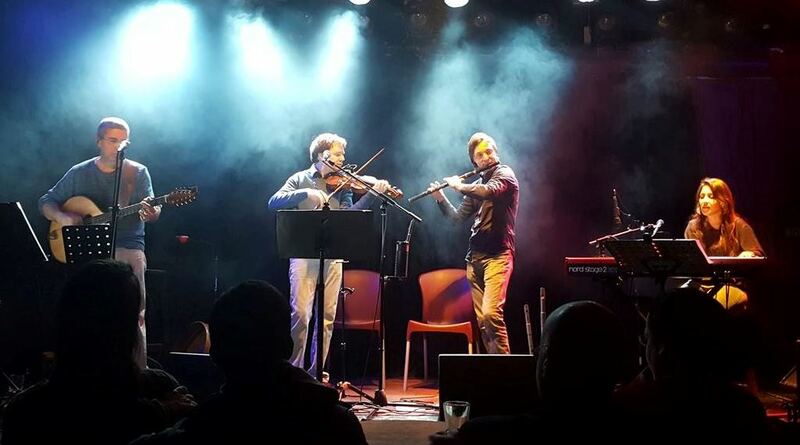 - Philip, Uri and Ehud will perform with another ex-member, Michael Greilsammer, and his band at Bet Avi Chay in Jerusalem on the 20th of December. 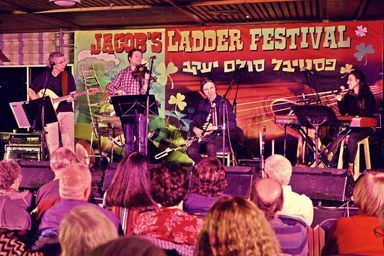 This will be a tribute concert to the late singer/songwriter Meir Ariel and will feature many of his songs played in Michael's own style, with an Irish touch. 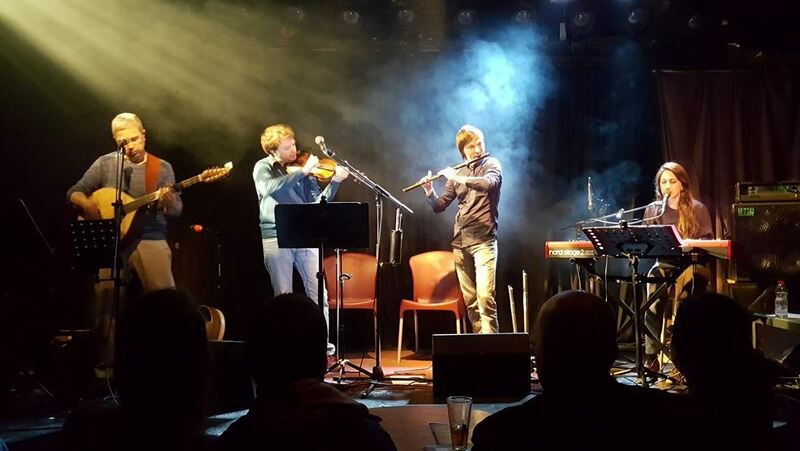 Israeli rock musician Hemi Rodner will also take part in this special concert. Tickets - HERE. 7 November - "We saw you in Katzrin and it was excellent. Highly recommended, we enjoyed it so much!" (Yael). "I had the pleasure of listening and watching you (in Shavey Tzion), and your CD is wonderful too" (Rakefet). Our next concert: 6.1.17 at Tmuna in Tel Aviv. 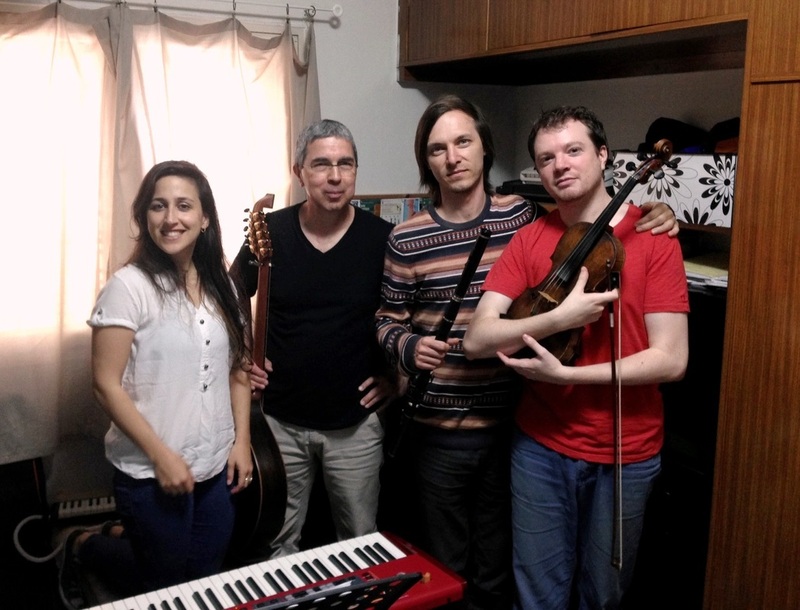 24 October - Our next two concert are in the north - 27 October at the Katzrin Community Center (For tickets phone 052-5612256, 04-6964111) and 5 November at Hapara in Shavey Tzion (TICKETS). 19 October - Take a look at the new concert dates in our schedule! 27 September - The third and very successful launch concert in Jerusalem is now behind us, and we are looking forward to the holidays. 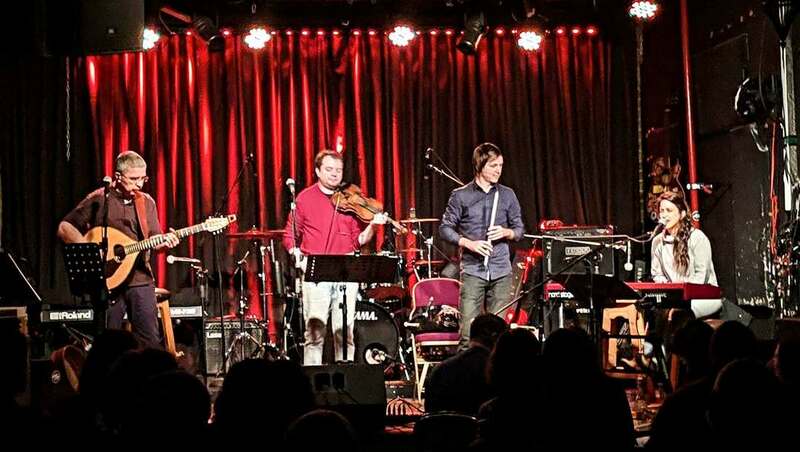 ​Our next concert - October 27 at the Katzrin ​Community Center. 22 August 2016 - Thoroughly enjoyed the wonderful reception of the Haifa audience, thank you all! 14 August 2016 - We want to thank our audience at the Tel Aviv launch concert. Thanks to you, it was a successful and very enjoyable event! Notice - If you encounter problems ordering tickets with your smartphone, use your computer. For tickets and more concerts, see our schedule. 15 May 2016 - Rehearsing our new repertoire with Moran. New concerts to be announced shortly! 20 April 2016 - We are glad to announce that keyboard player & singer Moran Meisels has joined the band. 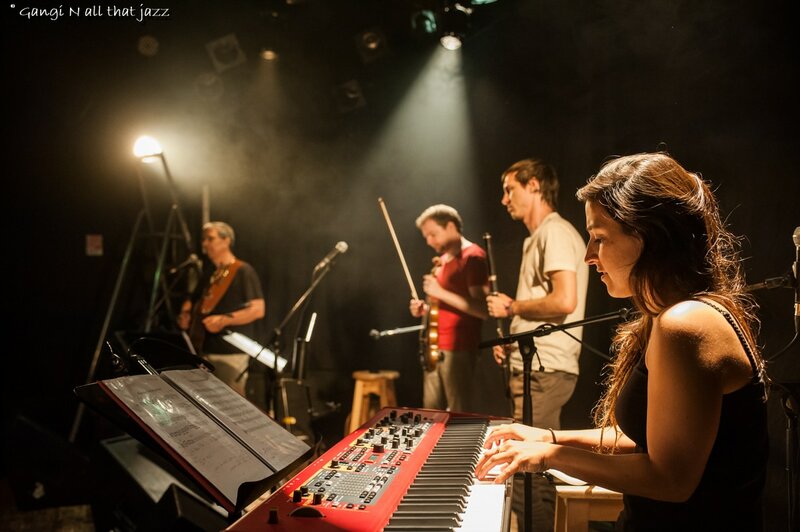 Moran is a talented and accomplished musician, and we are certain that she will contribute a lot to the new lineup. To all our friends and followers - may the new year bring new beginnings and great music! We will be posting some great news shortly. 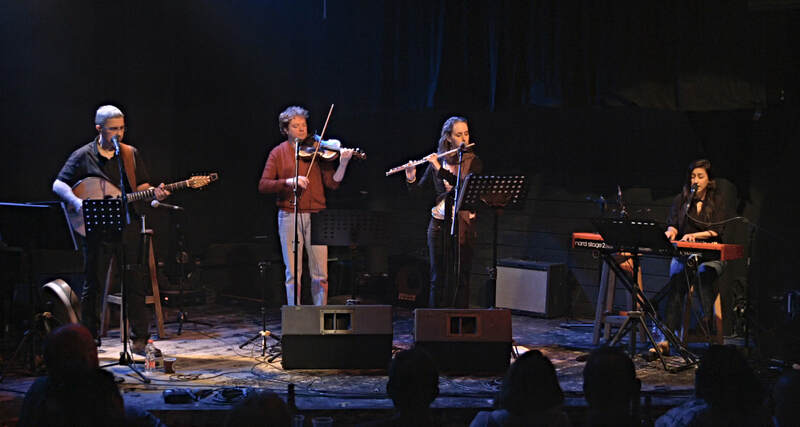 A new set of three reels recently composed by Scottish and Irish musicians, live at the Yellow Submarine in Jerusalem 23 July 2015. Enjoy! 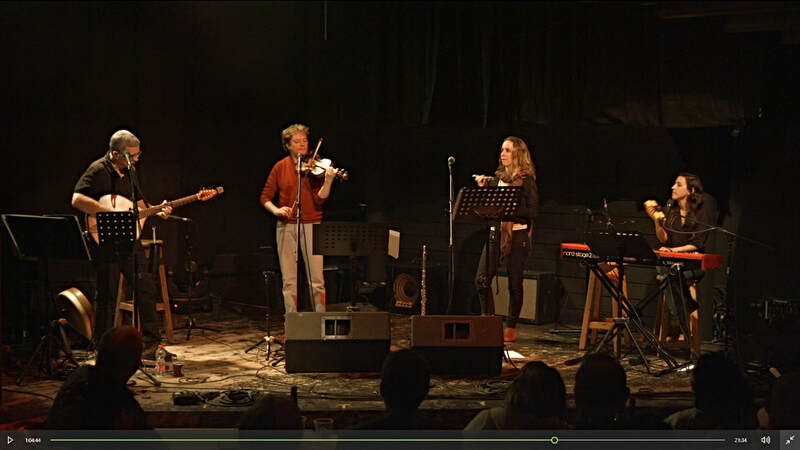 Video of the song "Tell me a story" from a gig with Ronit Shahar - here. Subscribe to out YouTube channel to watch our videos and to be notified of new ones! Subscribe here. A new video of "Kfafat zchuchit (A glass glove)" composed by Ronit Shahar, lyrics by Gilad Kahana. 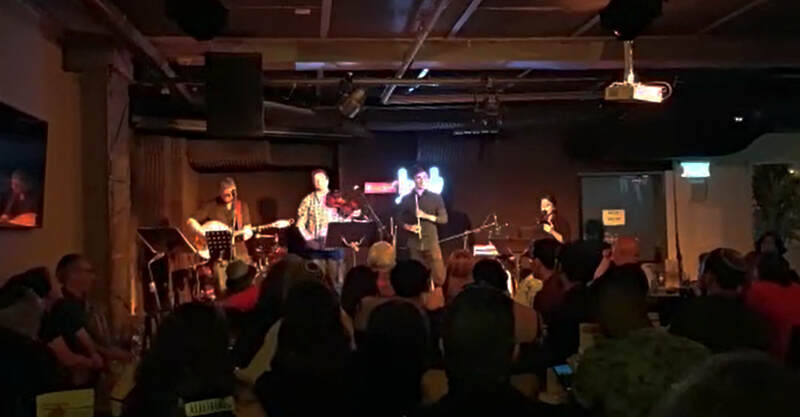 We first performed this song in a concert with Singer Ronit Shahar in Tel Aviv, and lately decided to perform it on our own. "Jean Michel's" live in Jerusalem, with a new Scottish reel ("Superfly") at the end of the set.